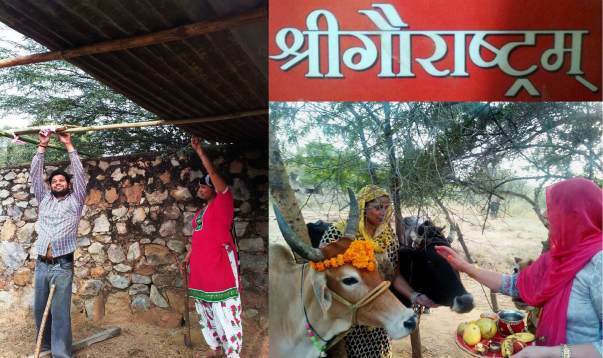 Kavita and Rajesh started their Cow shelter, Shri Gau Rashtram, 8 months ago at Chhattarpur, Delhi with a view to do Gau Sewa for aged and abandoned cows. 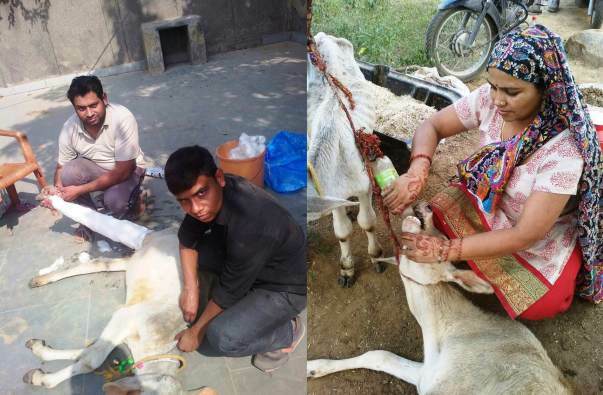 They started the shelter with 4 cows which did not produce any milk and were donated to the shelter by their owners who did not have the means to support them. The shelter is run by Kavita, Rajesh and their 3 young children. How has the shelter grown? 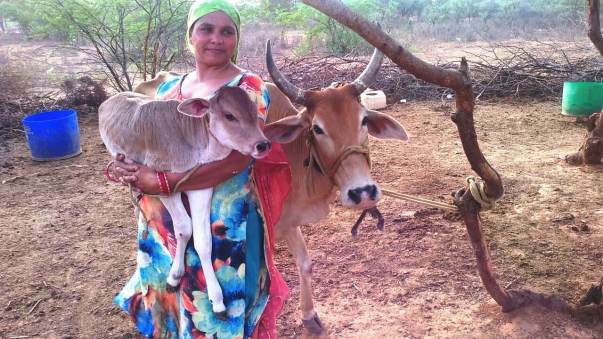 Over time, the Shri Gau Rashtram family has given shelter to 19 cows including some calves. Most of the cows are purchased from poor farmers or milkmen who would otherwise have sold them off to a butcher. Gau Rashtram matches the butcher’s price and takes them in. Some cows have also been donated by families who could not afford to care for them. These cows are not just treated as bovines but are given loving names like Bindo, Lakshmi, Priyansi, Leader etc. to which they respond when called. However the shelter is not economically viable as it generates at best only a small income resulting in the couple’s limited resources to run dry. 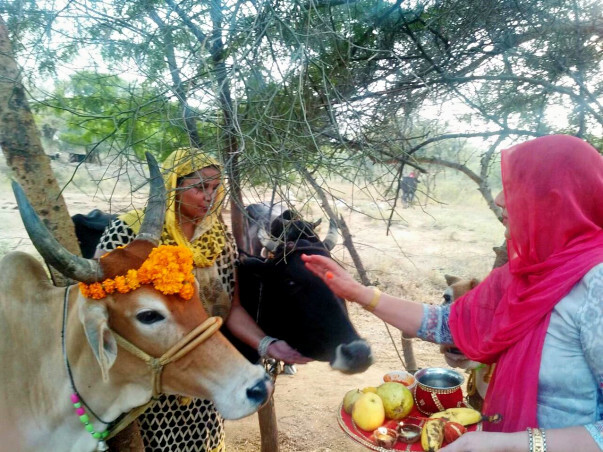 The couple is broken financially due to high running costs of their ashram and the thought of abandoning their beloved cows has left them heartbroken. Shri Gau Rashtram’s current monthly expenses are around INR 70,000 that are mainly spent on Cow feed which costs 60,000 per month, medicines for sick or injured Cows which is around 5,000 per month and other expenses that come to 5000 per month. Some Cows produce milk (average daily yield around 30 liters) which is sold at market rate of INR 50 per liter and fetches the shelter around 1,500 per day. However, Rajesh incurs around INR 200 per day in distribution expenses. Thus, the Cow milk sale generates around INR 39,000 per month in sales leaving the couple an operating loss of around INR 30,000 per month. The goal of this campaign is to generate INR 3,60,000 of working capital for Kavita and Rajesh which should secure the couple for one year. The money will be spent in stabilizing the current operations of Shri Gau Rashtram. Though personally, I feel that the couple will never say no to taking in more abandoned cows as long as they can afford to which may lead to increased expenses in future. Your small contributions will be of great help to this couple in helping their dream survive. My name is Ashutosh Joshi and I am based in Delhi-NCR working as Manager Finance for a large MNC. Inspired by the dynamic leadership of our Prime Minister Shri Narendra Modi, I have decided to do my bit by helping our Nation’s grass root heroes. I am the moderator of this campaign. Please feel free to reach out to me if you have any questions. Thank you all for helping Kavita and Rajesh. Their Gaushala is running well and now they have around 25 cows. They have started their ghee making business. The funds have mainly been utilized for paying off the loan, bills and medicines. They are now able to meet their expenses through revenues generated by their business. Both Kavita and Rajesh are very happy and are very grateful to you all. Thanks to all our contributors. We are disbursing the amount to Kavita. 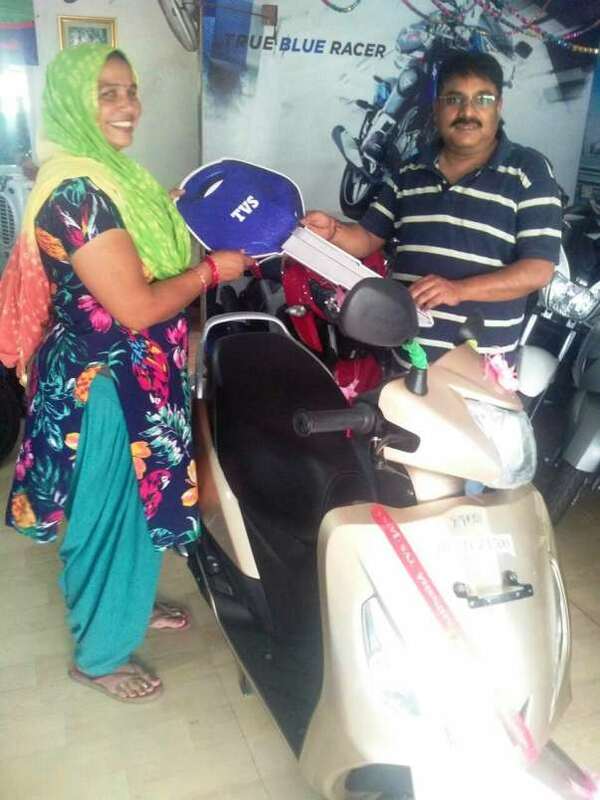 Let us wish this couple all the best in their journey of kindness.